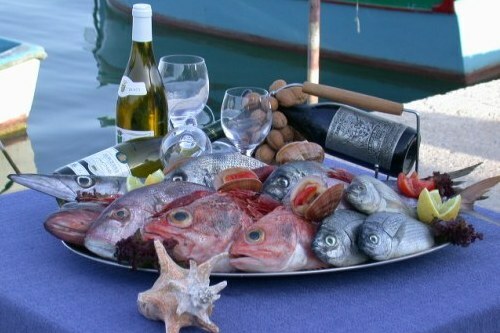 Situated right in the heart of Malta's main fishing village the Pisces Restaurant specializes mainly in Fresh Fish Dishes, with a supply of fish daily provided by the local fishermen. However the menu also includes other dishes to suit everyone's taste. All food is freshly prepared and cooked to order by our resident chefs using fresh genuine ingredients, and we will be pleased to assist any guests who may have any special requirements. The premises also cater for Private Functions and Group Bookings are also accepted. Specially designed menus are available for such occasions. The Pisces Restaurant is also equipped to cater for special functions and group gatherings such as set lunch/dinners. Receptions, seminars and private parties with a capacity of up to 80 seated guests. The style of service will depend on the specific requirements of the event and the organism. A set of individually priced sample menus is available, although tailor made menus could also be made. We will be also pleased to assist every individual on special diets. Apart from the A la Carte menu, Pisces Cafe offers also a snack menu including light bites, pasta dishes, salads and grills. A selection of cakes and ice creams are also available on display.